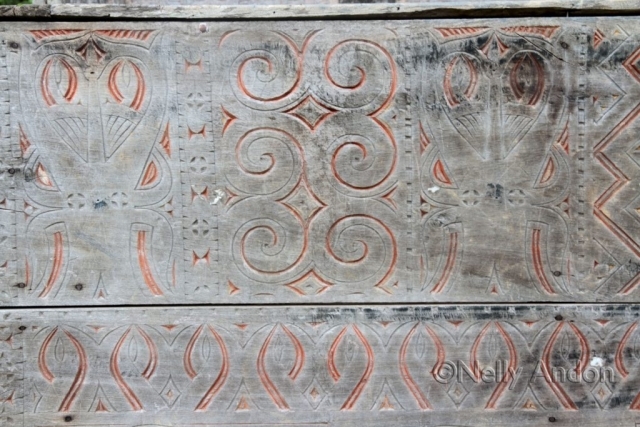 Toraja has never stopped to amaze me on all my visits here over the last 32 years. My first visit to this part of Indonesia was in 1985, just after graduating from university. 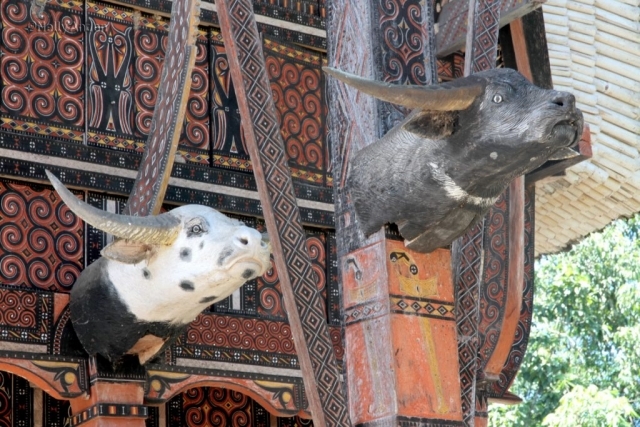 I discovered that Toraja has a very similar culture to the Batak people, and in some senses, I felt very welcome here. 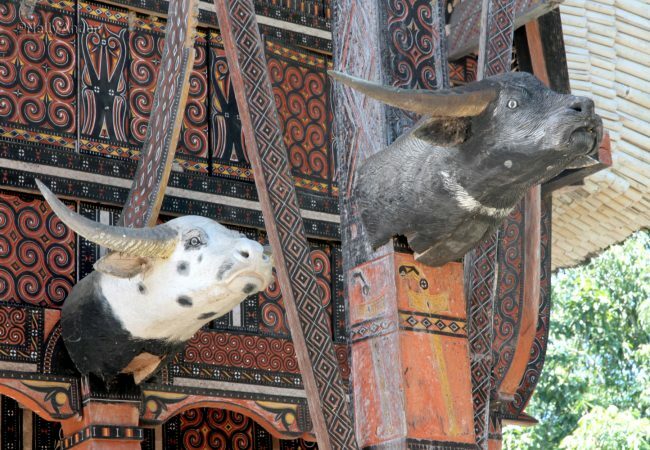 The Toraja houses, the ikat textiles, the religion, the funeral ceremonies and the buffalos, resemble so much of what we have back in Tanah Batak. 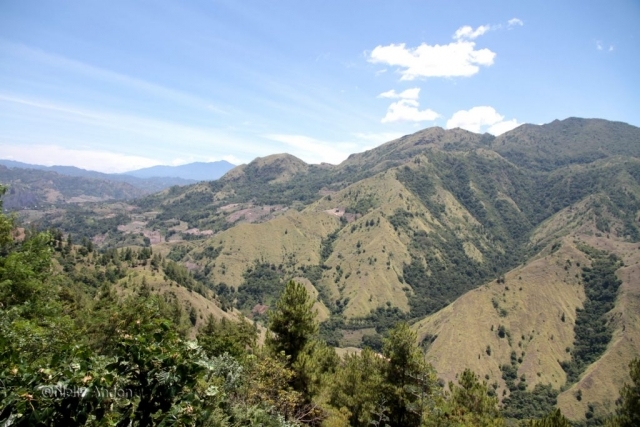 I read something on the Internet once a quote by a Torajan elder that “TOBA” the region for the Toba Batak (where my ancestors originated), stands for “Toraja Batak”, Toraja is the older brother and Batak is the younger brother. Silly, I know, but no body knows our true history in this respect. 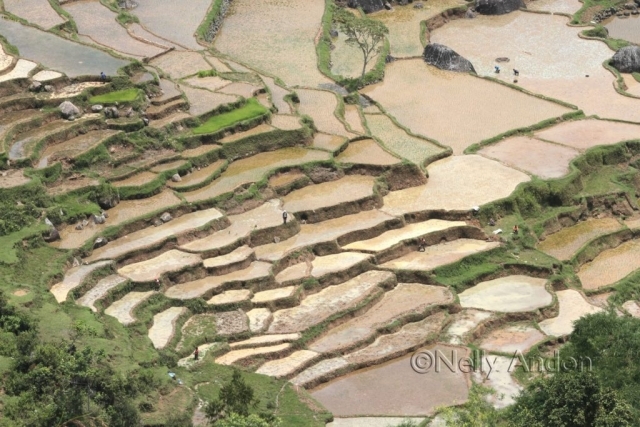 I have visited Toraja a few more times after my 1st visit, including a one week visit my husband and I scheduled here as part of our long 7 months honeymoon tour around Asia & India in 1988. 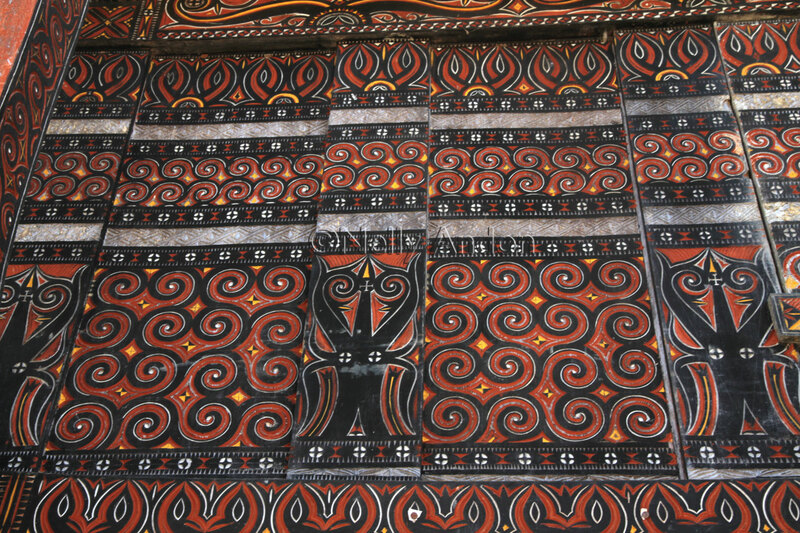 My visit to Toraja this year centralised around Ikat textile, and the main objective was trying to understand Toraja’s weaving culture and to see its current development. I travelled to Toraja with one of my sisters and very grateful to Noris Sandang, a young Torajan culture promoter I met on Facebook, who has very kindly help to show me around during my visit there. I was very grateful to Dinny Yusuf of Toraja Melo who recommended a very good and experienced driver to drive us around during our stay in Toraja, a memorable experience indeed. We flew to Ujung Pandang (previously known as Makassar) the capital of South Sulawesi. From here we set off fairly early in the morning by a car heading for Toraja. 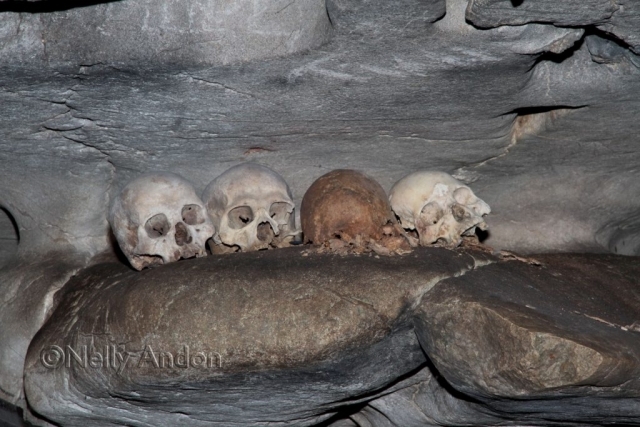 It took us approximately 9 – 10 hours journey without rushing, and the journey was truly memorable and exciting. In 1985 the road from Ujung Pandang to Toraja was so bad, very basic and full of mud and potholes, it would have taken more than 15 hours to reach Toraja then. Today, the infrastructure in South Sulawesi is very good and public road transport from Ujung Pandang here is fairly regular reliable. 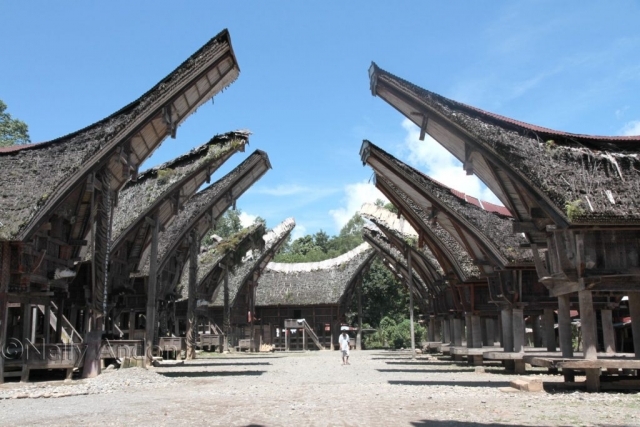 Apparently, there are flights daily from Ujung Pandang to Pongtiku in Toraja, sadly there is no obvious information about any travel agent in Indonesia that can help book these flights. We arrived in Toraja fairly early in the evening and headed straight to the hotel where we staying. 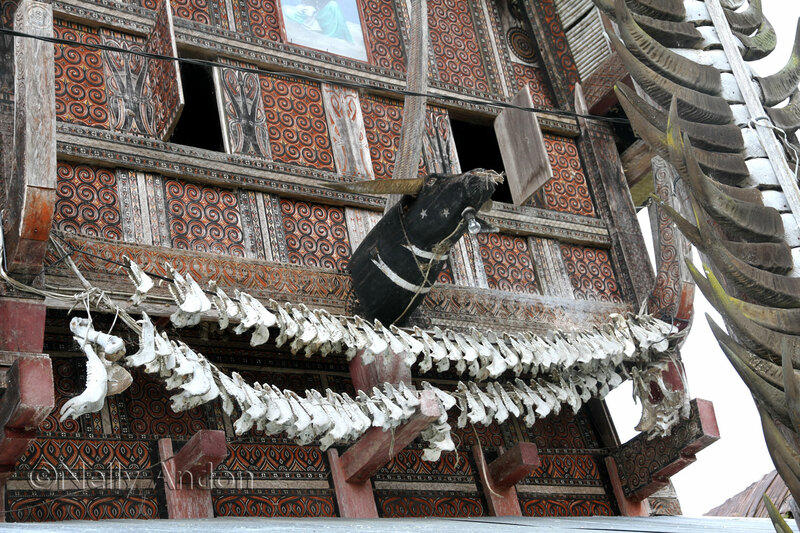 We stayed at the Hotel Sahid Toraja, which was advertised as 3 stars, sadly lack modernity and cleanliness. The hotel is old and the decor is truly dated. The rooms are very large, but it was obvious that no redecoration done here for a very long time. This lack of management is a common sight in hotels all around Indonesia, where the owners/management cannot be bothered to put simple touches on some great facilities which are already there. Our first-day tour started from the weaving village in Saddan, where we met a few weavers there. 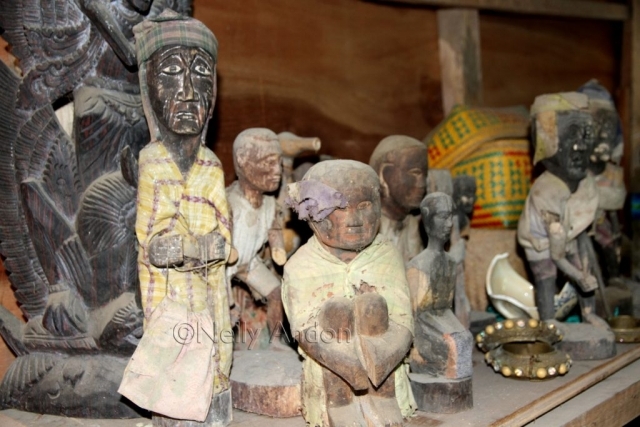 Saddan is a typical Indonesian tourist destination, where when the region is considered to be textile producing region, they tend to have a row of shops displaying a large selection of traditional textiles for the tourist enjoy. In a village like Saddan, you will find several weavers demonstrating their traditional weaving skills and proudly talk about their weaving culture and the beauty of their precious ikat or songket textiles. 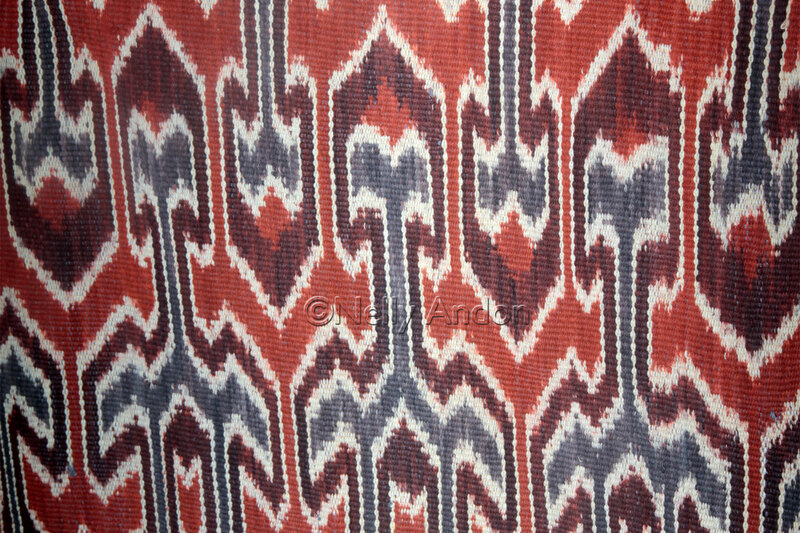 It is true and no question about the beauty of Toraja textiles, particularly the Sekomandi ikat which don’t get produced so much these days. Sadly, Toraja’s amazing ikat textiles have been truly spoiled by local business people who don’t understand the importance of local cultural identity, who would create a textile shop on the tourist locations, hire a local weaver to sit there to demonstrate back-strap loom weaving to fool gullible tourists who are easily deceived and exploited to believe that all textile displayed there are genuine hand-made and handwoven items. 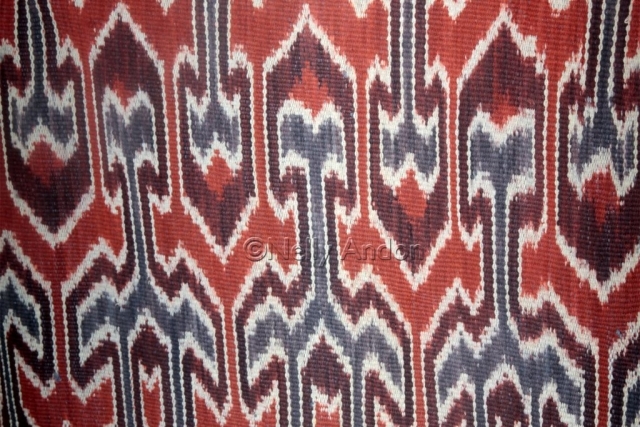 I got truly shocked by the number of Ulos Batak displayed here during my visit and the shopkeeper confidently claimed that these are Toraja Ikat. 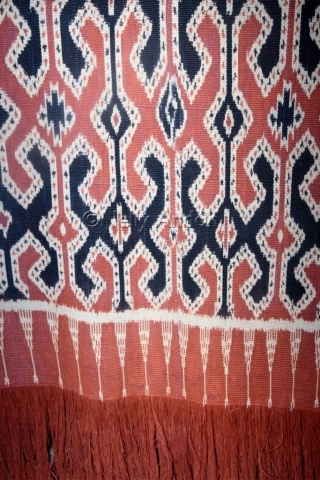 A lot of fake ikat and songket are also sold in tourist locations like Saddan, fake ikat textiles which are mass produced in Java (Troso region) and some cheap textiles are imported from outside of Indonesia, such as China and Thailand. If you have good eyes for the real McCoy (the real Toraja woven textile), you will, of course, be able to find them easily. Sometime your eyes will be tricked by the colourful display and the cheerfulness of the cheap cloth, but you need to be fully aware that Toraja textiles are usually gentle, and fairly subtle in colour and the quality of the cotton is of high quality. 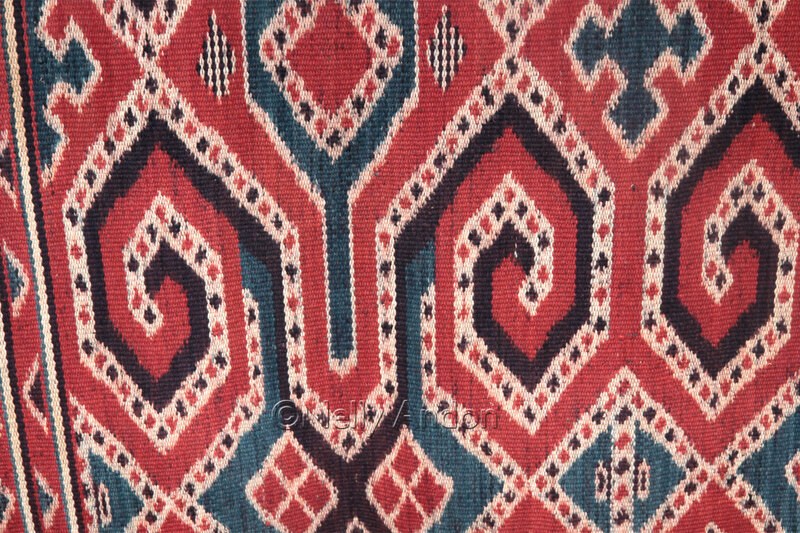 The texture and thickness of the cloth depend on the type of textile or blanket produced. 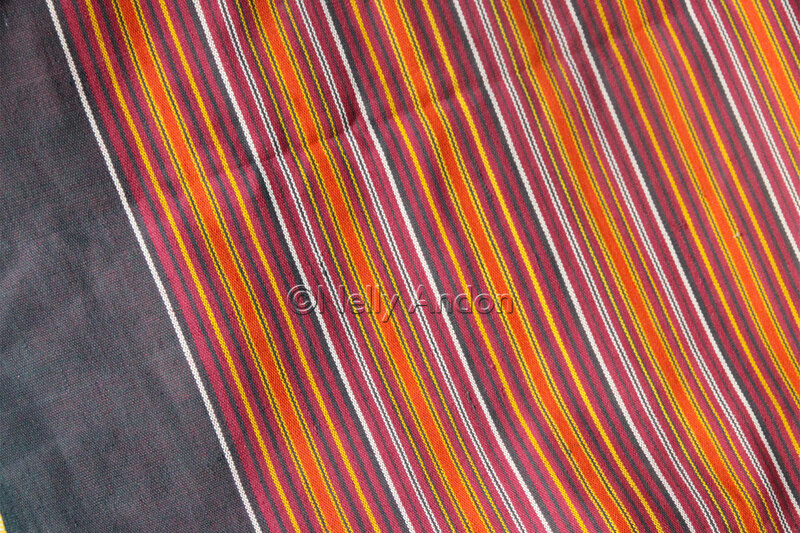 The textile from Sekomandi is usually fairly thick, coarse and heavy. 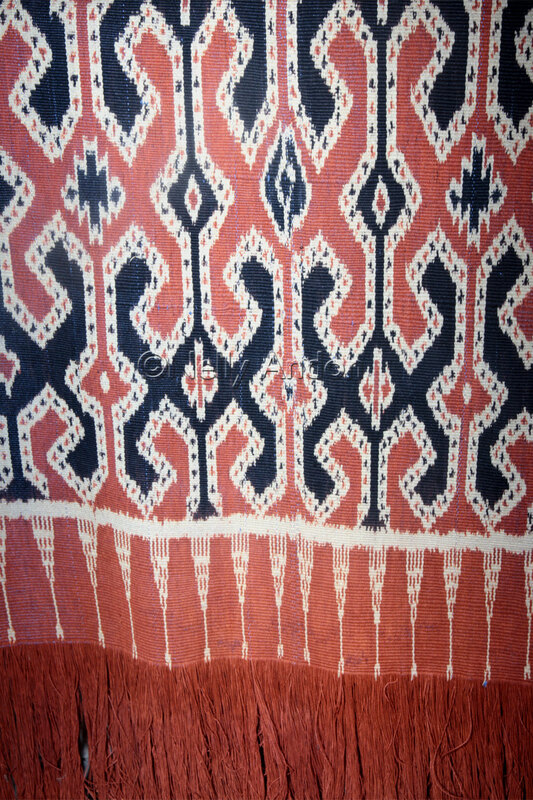 Some other textiles from Toraja are very soft and light. I met and interview a very senior lady weaver here, called Mama Ita, She weaves here every day. There is a shop at the deep end of the compound where I also met 2 sisters (twin, apparently they are a triplet, but one lives in Kendari). 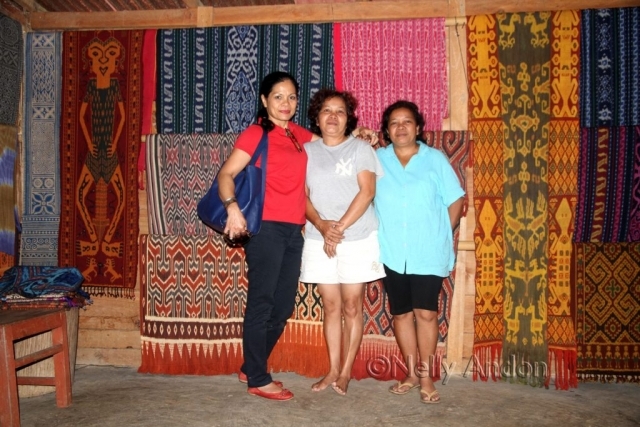 These two sisters display some amazing saddan ikats and some supplementary weft ikat they produce here by themselves. Please see images in the gallery below to give you some guidance. 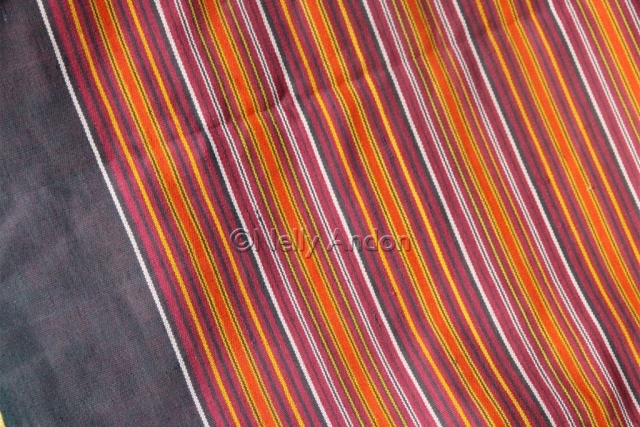 These two sisters would help you chose the correct textiles, but do tell them that you want the real ikat. 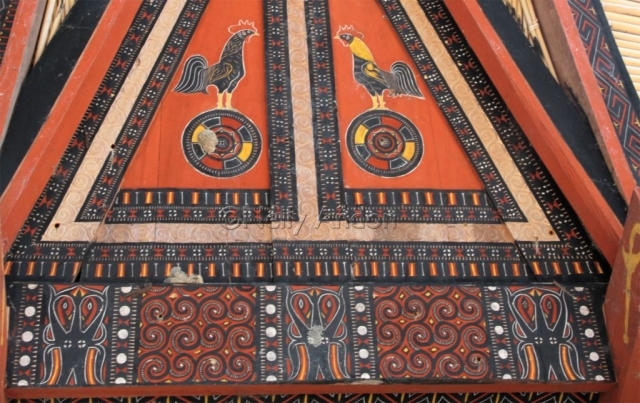 The prices of Toraja textiles here (the real Toraja textiles) ranging between Rp 300,000 (three hundred thousand rupiah), approximately 30 US dollars – to – Rp15.000.000 (fifteen million rupiah), approximately USD 1000, depending on the type of cloth, age, condition and important history attached to it. I was informed that most of the traditional Sekomonadi weavers are located in villages far away from Saddan or Rantepao. 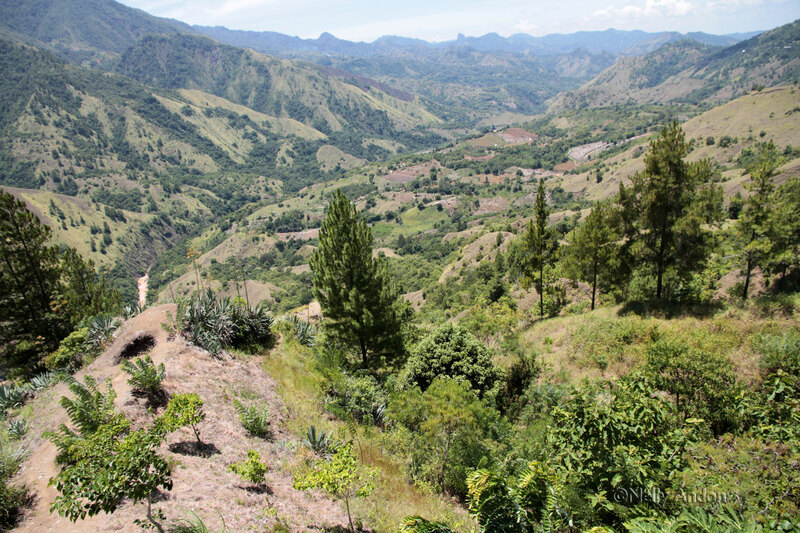 Their villages are up on the hills, which requires of up to 8 hours to reach on foot or shorter hours by motorbike. Apparently no infrastructure available to facilitate car journey there. I will be writing more about specific textile producing villages or region in South Sulawesi soon and I will be sharing more travelling information in my travel section of this website. Thank you for your visit today. Please don’t hesitate to contact me if you have any query about anything you read on this particular blog or any issue related to Toraja. I will be more than willing to share what I know.